The three generation Hoad family. (When they’re not fishing commercially, you’ll probably find them on a fishing charter). In the early 1960’s, the Hoad family, more specifically Kevin Hoad, was one of the founders of the modern Goolwa Pipi fishing industry. Back then it was a bait only industry, with over a 1,000 tons of bait pipis being caught annually. 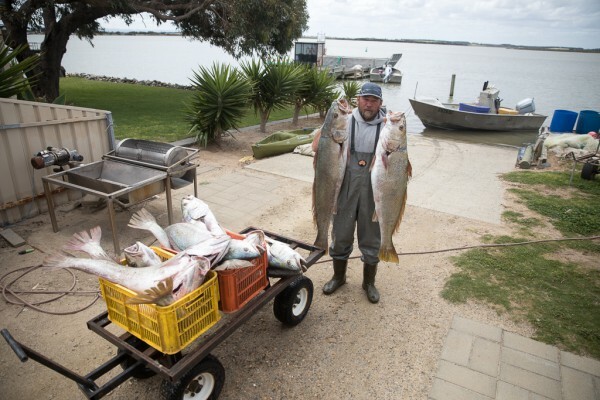 As Kevin and others developed the industry, the Hoad family started to bring through a new generation of fishers, with a young Darren Hoad being the first of three sons to pick up a pipi rake in the 1970’s at the age of just eleven. In time, his other brothers would join the crew, with the family often building a makeshift fishing camp from driftwood washed ashore. From this temporary base they would camp in the dunes for up to a week at a time, while they built up a stockpile of pipis in hessian bags to send to market. These were not simple fishermen, who just fished and let others find markets for their product. They were visionaries and in the late 1990’s the Hoad family instigated the harvesting of pipis for the food market. 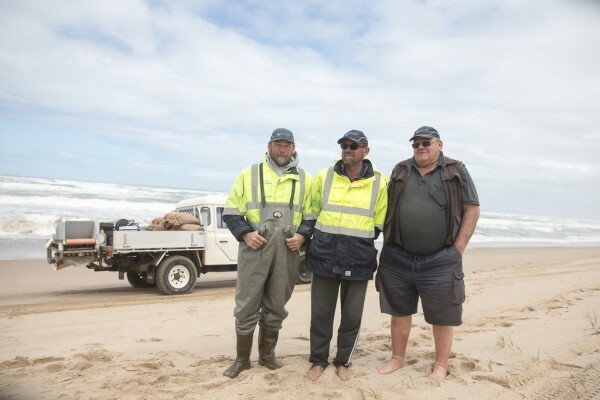 This foresight, to open up the beach through the South Australian Shellfish Quality Assurance Program (SASQAP), was the turning point for the industry as a whole. 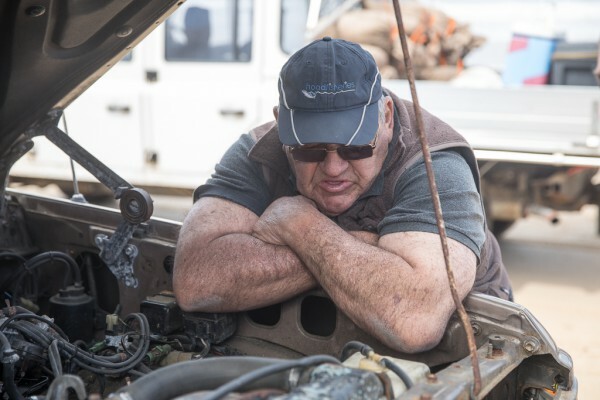 Today, Kevin has retired, but sons Darren and Matt run a harvest crew that supplies catch to Goolwa PipiCo, with Matt’s boys getting ready to become the third generation of Hoads to pick up a pipi rake. To say that the Hoad family ‘lives to fish’ is no throw-away line - nothing demonstrates their love of fishing more than the fact that they often go on fishing charters when they take time off from harvesting. Goolwa PipiCo and the fishing industry generally, owes a lot to the Hoad family for the work they have done to turn the once humble pipi into a seafood that now features on the menus of many of Australia’s finest restaurants.